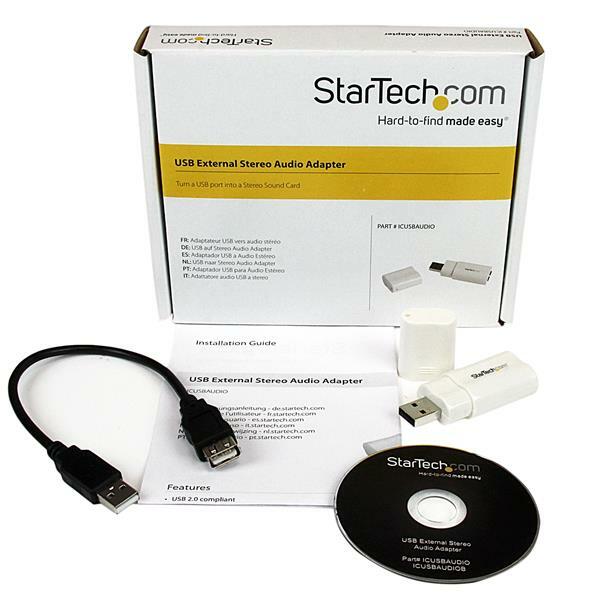 This USB to Stereo Audio Adapter lets you add a headset and microphone to your computer without the need to unplug other devices. 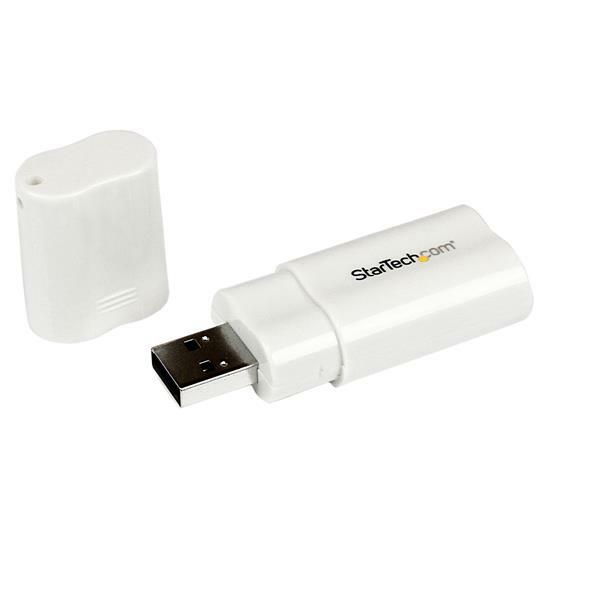 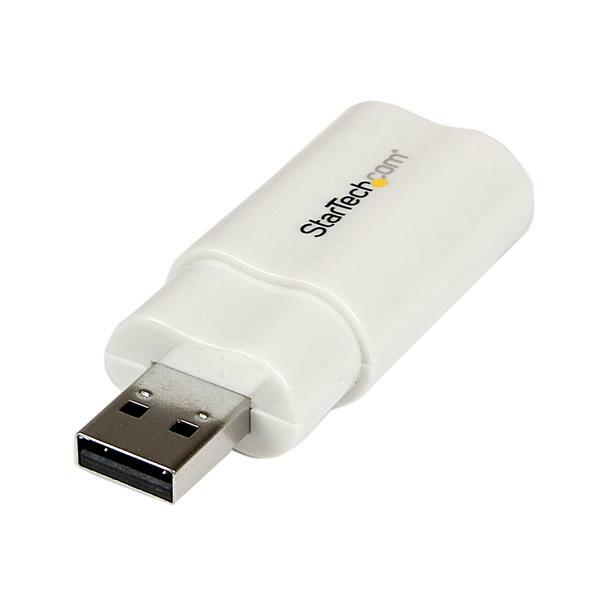 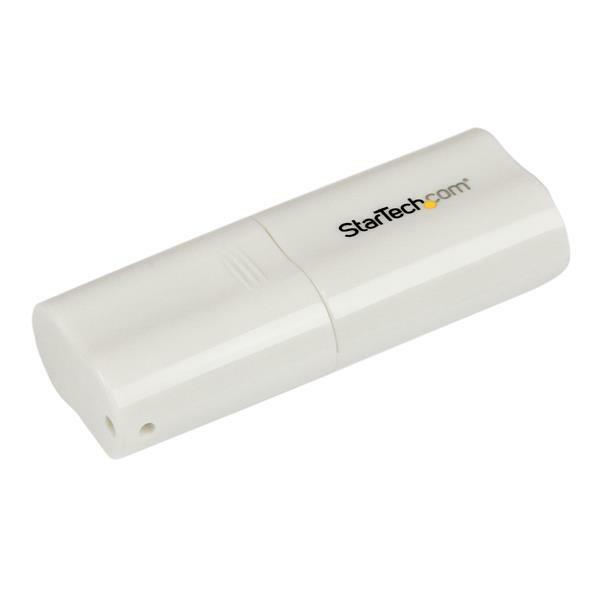 It's compatible with most Windows and Mac operating systems, and easily integrates into virtually any computer environment, providing superb sound quality and convenience. 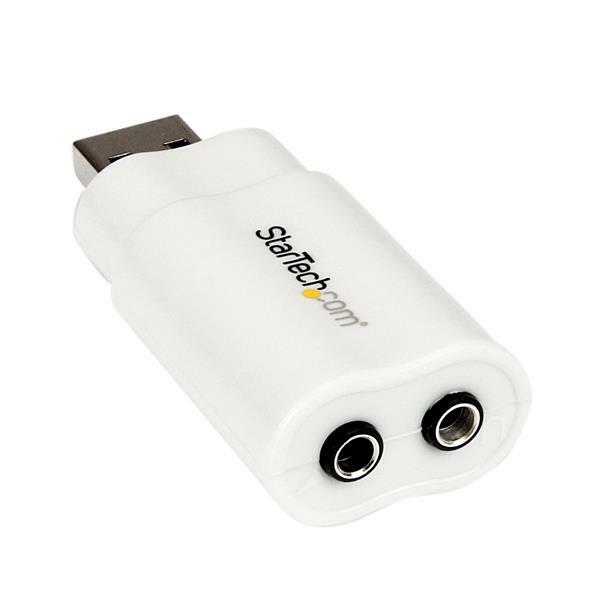 Note: The ICUSBAUDIO supports mono, and not stereo microphone input.